It’s a good example of Markley’s Law but what I found far more interesting was that the Twitter account it came from appears to be fake. I’m pretty sure this account is machine generated and the three tweets from that account are copied at random from the Twitter universe. See also the followers of this account. I suspect they are all machine generated as well. If I had the time and the interest I see what Twitter accounts they follow which are in common. I suspect it is a means of generating fake followers for some real account. This entry was posted in Gun Rights, Markley's Law, Technology by Joe. Bookmark the permalink. I wonder how hard it would be to make a Twitter bot that could play a convincing anti-gun activist of the CSGV mouth-foaming variety? I expect it could be done from scratch in a week or so. If you already have a general purpose bot then just a day. You would not need AI for this. “You know you’re over the target when you start taking flak”. Huh. 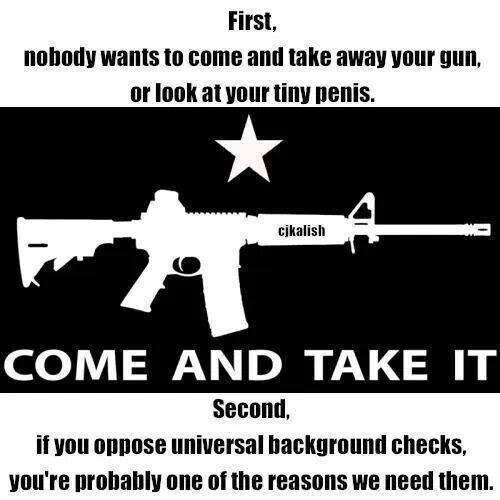 So there’s an Anti gun Unidan on Twitter. It is said that Twitter bots were largely responsible for McDonald’s changing their fry oil from beef tallow, and making some of their menu changes. Rush Limbaugh says he and his staff uncovered a fake Twitter campaign against him. Apparently it’s become a regular thing. In other news; the feds are poised to declare the internet a “public utility”, i.e. to own it. That’d turn out well, no doubt. A great example of Kafkatrapping. 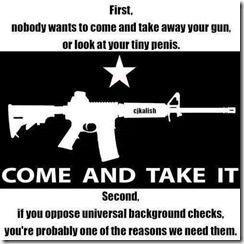 Second, if you oppose universal background checks, you’re probably one of the reasons we need them, so that we can send SWAT teams to kill you when necessary to impose our agenda.